Green designers are well aware that bamboo is a rapidly-renewable resource whose production has less of an environmental impact than the production of other wood products. Bamboo flooring is well-trod territory now, and bamboo panels are becoming increasingly prevalent, as well. 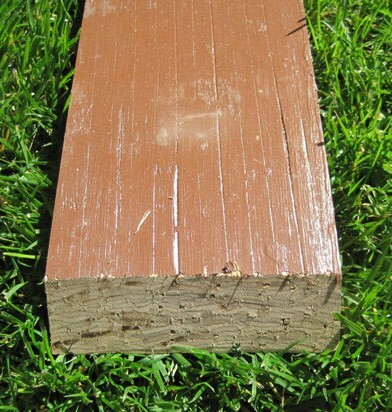 Now, Cali Bamboo’s Lumboo offers a dimensional lumber material that is made from bamboo. Lumboo is an extremely tough engineered material. It is made by assembling long strips of shredded bamboo in a press and then adding a low-VOC resin and compressing it with several hundred thousand pounds of force. 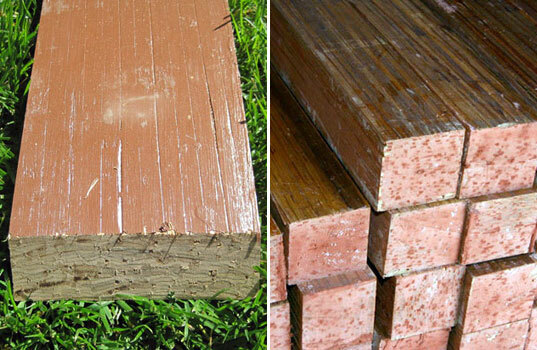 This creates a dense, heavy material that looks like dimensional lumber at a distance. It is naturally termite resistant due to the high silica content of the bamboo. However, due to its consistency, it can be difficult to work with. It cannot be readily nailed — pre-drilling and screwing are recommended for assembly — and very sharp saws are recommended for any cutting. Lumboo pieces are also smaller than comparable dimensional lumber. The distributor for Lumboo is a bamboo fencing company, and the primary uses for Lumboo is for fence posts and rails, but other uses for the material are certainly possible. Importing bamboo long distances may not be as desirable as using more locally supplied wood, but the tradeoffs between harvesting impact and transport impact may tip the scales toward using bamboo materials in some cases, even if they need to be transported from farther away. The concept of bamboo lumber is good, but this is a long way from a real product. Low VOC resin? I bet this is full of UF just like bamboo flooring. Also, can you imagine the carbon footprint of the manufacturing and transport of this "environmental" lumber? I bet that it is a multiple of tens vs. traditional wood. Don't get me wrong, I'm a big-time bamboo enthusiast and I want bamboo to succeed. I'm just saying that this product's claims are misleading and it is not environmentally sound. Green designers are well aware that bamboo is a rapidly-renewable resource whose production has less of an environmental impact than the production of other wood products. Bamboo flooring is well-trod territory now, and bamboo panels are becoming increasingly prevalent, as well. 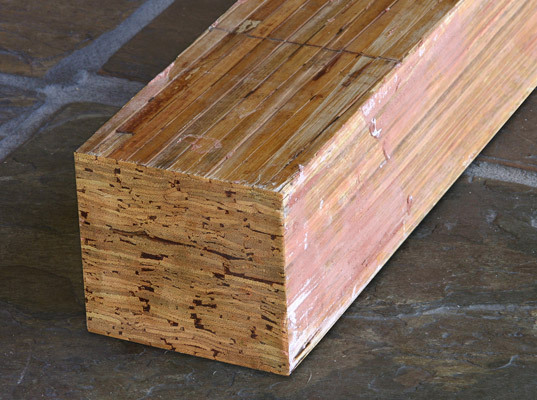 Now, Cali Bamboo's Lumboo offers a dimensional lumber material that is made from bamboo.